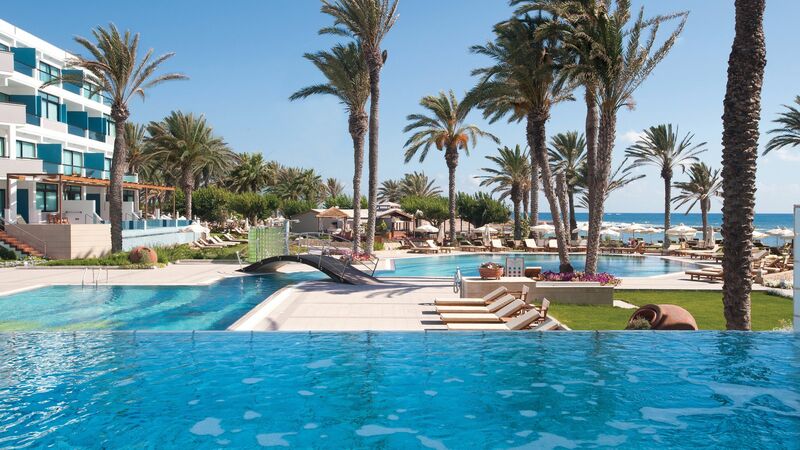 Cyprus holidays are full of sand, sun and wonderful culture all year round. 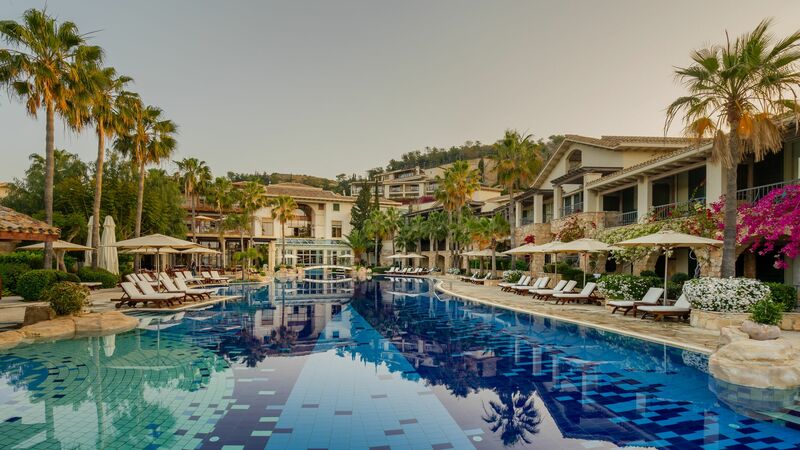 This island is set in the Mediterranean Ocean, close to the west coast of Turkey, meaning you can enjoy temperatures of up to 35 degrees in the summer months and 18-22 degrees for the autumn and spring half term holidays. Surrounded by golden sands and the crystal clear waters of the sea, this is the ideal place to relax and unwind or make the most of the many water sports available. Culture lovers will find plenty to explore, including pretty cobbled streets, ancient churches and ruins. 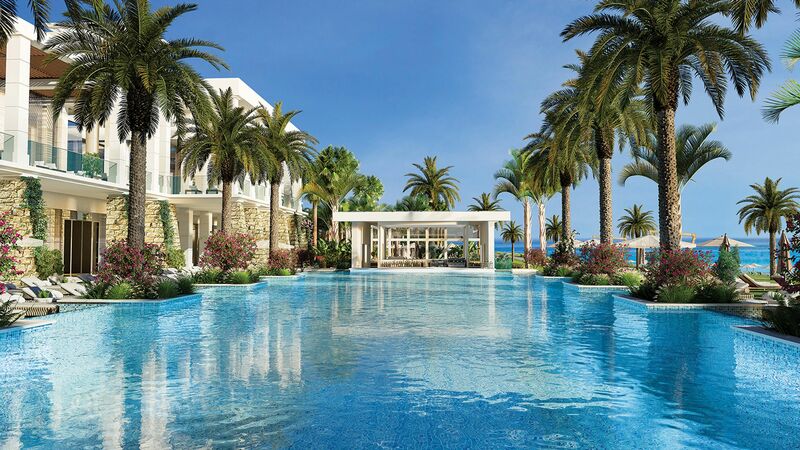 Paphos is the ideal holiday destination for families, groups and couples, with sweeping sandy beaches, three golf courses and a medieval castle. Those who prefer a relaxing break will find the Troodos Mountains the ideal mixture of activity, culture and peaceful surroundings. It’s home to UNESCO World Heritage Sites which date back to the byzantine era, monasteries, farmlands, forests, hiking trails, vineyards and much more. Cyprus is the ideal destination for a luxury holiday, with its winding cobbled streets, world heritage sites and rich history. Choose restaurants serving everything from fine dining to local tavernas, with friendly locals taking pride in every dish produced. Fresh fish and seafood is caught by local fishermen and served straight to your plate, while local farms offer delicious fresh fruits and vegetables. Wine lovers can choose from wine tasting courses and delicious local bottles served alongside dinner, with Latchi and Pissouri perfect for foodies. Families will love the Blue Flag beaches, while those wanting to pick up gifts and souvenirs will enjoy the local markets, little boutiques and designer shops dotted throughout the towns. Spend your evening wandering beside the beautiful marina in Limassol before stopping off for a glass of Cypriot wine as you watch the sunset. For a spa day visit the Troodos Mountains which has a long history of healing and spa towns. 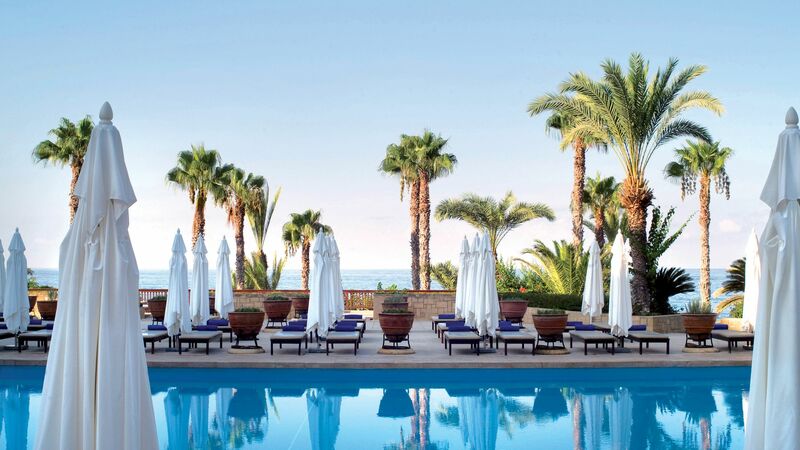 Featuring family suites and villas, the Anassa Hotel is the perfect for your summer family holiday. Surrounded by open green landscape and hilltops, you will be able to make the most of this relaxing atmosphere. Latchi village sits next to a panoramic peninsula that legend says was Aphrodite’s stomping ground. Base yourself in this village for days shared between the harbour, beach and hiking trails. A polished, palm-lined promenade and marina seems to mark the southerly Limassol as a modern city – but delve deeper, and you’ll also find a medieval old town with a castle. South-westerly Paphos hordes archaeological finds along its coastline – from early Roman tombs to Byzantine churches. The town sprawls out behind, serving up beachfront hotels and a port. The little village of Pissouri is secreted away among the hills, orchards and vineyards between Paphos and Limassol – and just up the road from Aphrodite’s Rock. The Troodos Mountains are the longest mountain range in Cyprus, scrolling out along the Limassol-Nicosia border. A national park of forests, waterfalls and trails swoops out from its peaks. 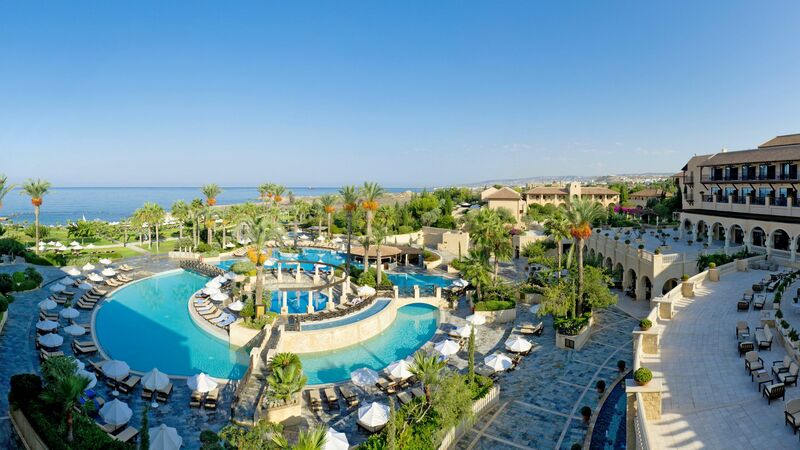 Cyprus is full of sand, sea, sun and fun, making it the ideal choice for your family holidays. There are plenty of soft sandy beaches where little ones can build sandcastles while Mum and Dad relax on their loungers. The pretty town of Paphos is more than just a beach town – it’s home to some of the most impressive archaeological parks in Europe. Kato Paphos fills out a headland near the city centre. This is a live dig, so it’s not uncommon to catch archaeologists dusting off the Greco-Roman temples and mosaics. Another standout site is the UNESCO-listed Tomb of the Kings – a collection of underground tombs dating back to the 4th century BC. The Troodos Mountains surge through western Cyprus: Mount Olympus marks the peak of the range, while the pine-covered hills of Troodos National Forest Park swoop out below. The trails and waterfalls reel in hikers and cyclists in the summer. And come winter, its slopes serve up powder-soft snow popular with local skiers. A mix of UNESCO-listed churches and tiny hillside villages also speckle the park, offering a glimpse into the old heart of the island. Just make sure to bring a jumper – temperatures can be much cooler away from the coast. Like your beaches au naturel? Try Lara Beach. This brushstroke of unspoilt sand sits just south-west of Latchi, at the head of the scenic Akamas Peninsula National Park. It’s one of the last havens for rare loggerhead and green turtles, who amble onto the bright gold sands to lay their eggs. Nests are then flagged up by volunteers, who rope them off until the hatchlings are ready to scuttle back to sea. 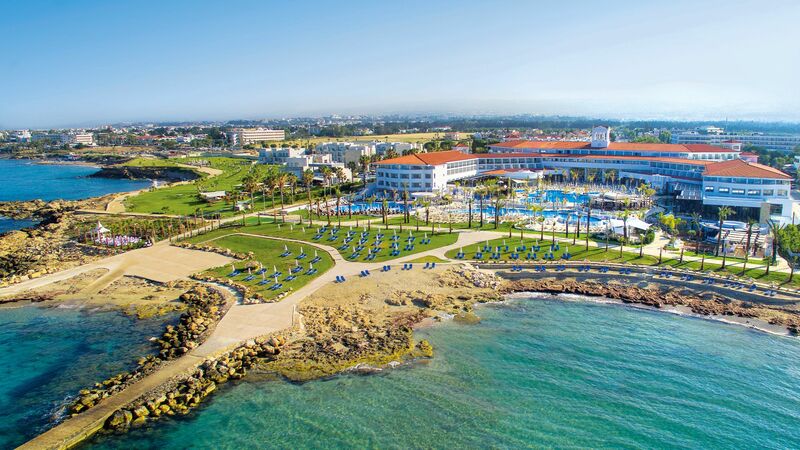 A beach-wide ban on parasols and sunloungers also means that Lara Beach is one of the prettiest spots in Cyprus. What I love about Cyprus is that there's so much culture and history to discover, from the Byzantine monasteries in the Troodos Mountains, to the 15th-century Kolossi Castle near Limassol and the UNESCO-listed Tombs of the Kings in Paphos. Thanks to the island's geographical position and history, Cypriot cuisine has a mix of Greek, Turkish, Arabic and English culinary influences. Dishes are well-seasoned and flavourful, but not spicy, and incorporate fresh, healthy produce grown locally, including figs, chickpeas, herbs, olives and dates. As well as meze, popular dishes include souvla, charcoal-grilled meat on a skewer, and sheep’s or goat’s cheese like the famous national cheese, halloumi. Marinos Demetriou, sommelier at the Columbia Beach Resort, talks to us about wine pairings, the art of oenology and the exciting names emerging from Cyprus’ vineyards.